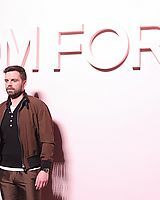 Welcome Established in September of 2012 Sebastian Stan Fan is your top fan source for the latest news and photos on the career of Romanian actor Sebastian Stan. 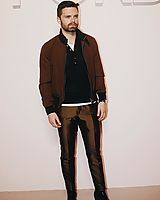 Sebastian is known for his notable role as fan favorite Bucky Barnes, from the Marvel franchise Captain America. 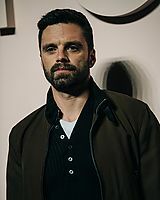 However Sebastian is also known for his other roles in both film and television including Gossip Girl, Political Animals, The Covenant, and The Martian to name a few. Be sure to save our link and check back often for the latest on Sebastian! After three all-night negotiations, Neon and 30WEST tag teamed to skate off with a deal for I, Tonya, the Craig Gillespie-directed black comedy from Miramax about the epic fall from grace of Olympic figure skater Tonya Harding. Sources peg the deal at around $5 million, and Neon’s Tom Quinn and Tim League will make a strong play for the film in Oscar season. The Steven Rogers-scripted film stars Margot Robbie, Sebastian Stan and Allison Janney, and came into the festival as the hottest acquisition title before it premiered Friday at 9:30 at the Princess of Wales Theatre. At a post premiere party at Ivan Reitman’s restaurant Montecito, potential buyers I spoke to were not disappointed, nor were reviewers. Robbie produced the film with Tom Ackerley, Rogers and Bryan Unkeless. The bidding came down to the compelling choice of a traditional theatrical play (Neon) or a streaming deal (Netflix) and here the filmmakers and financiers chose the former. Beyond the strong performances by Robbie and Janney, I, Tonya has an enviable path in front of it. The film can qualify for awards, and roll out slowly with the Winter Olympics coming in February (where the Harding scandal played out in 1994) and then Oscars in March. Neon and 30WEST made a passionate pitch and this will be a big film for the upstart distributor. In unabashed R-rated fashion, Gillespie admirably threaded the needle and balanced the sometimes outrageously funny chronicle of how Harding skated from a hardscrabble life into momentary glory followed by tabloid scandal, counterbalanced by the upsetting depiction of her being used as a punching bag by her dimwitted husband Jeff Gillooly, after she was slapped around repeatedly as a child by her tough as nails and impossible to please mother. The film shapes up as a cross between hallowed black comedies Fargo and To Die For, in characterizing the twisted things that can happen when not bright people have ambition and try to cut corners to achieve those dreams of escaping their low station in life. In the lead up to the festival, CBS Films had made an offer said to be around $6 million, which was what Miramax Films paid earlier to acquire and make the film. Before others could step up, the sellers — CAA and UTA Independent Film Group co-brokered the deal for Miramax chief Bill Block — stuck a pin in any talks and let buyers see the film here in Toronto, or at simultaneous screenings in L.A. The clear goal was to match the film with the right distributor and put it into the upcoming awards season race. Some buyers I spoke with felt the movie could be tightened, and it seemed like Gillespie was happy with the cut audiences saw last night. Beyond Neon, the most aggressive pursuers were Netflix (I heard $12 million) and Annapurna, and early on CBS Films/Lionsgate (they ultimately bid $2 million and were gone from the auction quickly), and Aviron and Entertainment Studios were all circling. The exec producers are Len Blavatnik and Aviv Giladi of AI (which financed the film), and Rosanne Korenberg and Zanne Devine. The film’s secret sauce is its performances, led by Robbie and Janney. The glamorous Australian actress Robbie displays all the necessary chops to channel the hard as nails Harding, who never fit with her monied, pampered and well costumed competitors. Harding sewed her own costumes and applied makeup that just made her look harsh and awkward, and not completely covering the bruises from beatings inflicted by her husband. That and her hard routines got her penalized by figure skating judges who clearly wished she wasn’t there, even after she mastered the triple axel, a leaping spin move her competitors didn’t even dare to attempt. Robbie’s performance captures Harding’s hopes and dreams, and the strategy by her mother to forge a champion fueled by white hot anger that eventually left her a casualty of abuse. That dysfunctional upbringing continued with her volatile marriage to wife beater Gillooly, and led to her spectacular downfall after she was implicated in the knee-capping of rival Nancy Kerrigan by two dopey lugs hired y Gilloly’s friend and accomplice Shawn Eckhardt. I was surprised to see how much sympathy the audience is left feeling for Harding, who never really had a chance in life. Also a standout is Janney as Harding’s mother, LaVona Golden, a towering, steely and hilarious presence in the movie who could well get an Oscar nomination in the Best Supporting Actress category. The rest of the cast, including Stan’s Gillooly and his accomplice Eckhart (played by a scene stealing Paul Walter Hauser) are unwittingly funny. Eckhart, a self described bodyguard and overseas covert operative who was none of those things, hatched the Kerrigan attack from his mother’s basement where he lived with his parents. Those events — called “the incident” — is where the film merits comparisons to the Coen Brothers’ Fargo, and Gus Van Sant’s To Die For. Netflix was willing to pay more, but that choice would have complicated the foreign arrangements set up by Sierra Affinity and Miramax, and sources said the filmmakers really wanted a straight theatrical play. Neon has the bandwidth to give the film all the care and feeding it will require. Donations are very appreciated and go a long way in helping to cover the overall cost of keeping the site online and updated with the latest photos. Any amount helps. Check out a list of our current donors. Stay up-to-date on the absolute latest news and photos on Sebastian and his career on Twitter and Facebook ! Enter your email address to subscribe to the Sebastian Stan Fan and receive notifications of new posts by email. Sebastian Stan Fan respects and maintains the privacy of Sebastian and his day to day life outside of his career and, therefore remains paparazzi and gossip free. Pictures of him not working will not be posted on this site. The only candid photos you will find are those which are taken on the set of his projects. No personal information along with rumors or gossip will be found here. This site is committed to publishing only news and photos that are pertinent to his career. Sebastian Stan Fan is a website created by a fan, for the fans and is in no way affiliated with his management, or any company associated with him. All media, photos, trademarks and copyrights are owned by their respective companies. No copyright infringement is intended. Please contact us if anything should need to be removed from our servers.